Our On the Go 12 is a beauty product worth batting your eyes over. 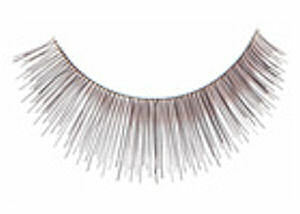 Simply add some glue to these long, fine, elegant top lashes and notice the change in your appearance. They are made from real human hair, so wearing these will ensure a very natural look, as long as you make sure you are wearing them naturally. On the Go lashes are handmade and 100% natural human hair. Each lash is perfectly shaped for just the right look ? day or night.